Mr. Donald Thissen brings to Denair Unified School District over 28 years of music teaching experience in public schools and private lessons in California, Oregon and Nevada, with bands as small as six students to groups over 200 strong. Mr. Thissen will lead the high school band, the middle school band, fifth grade band, and elementary music. 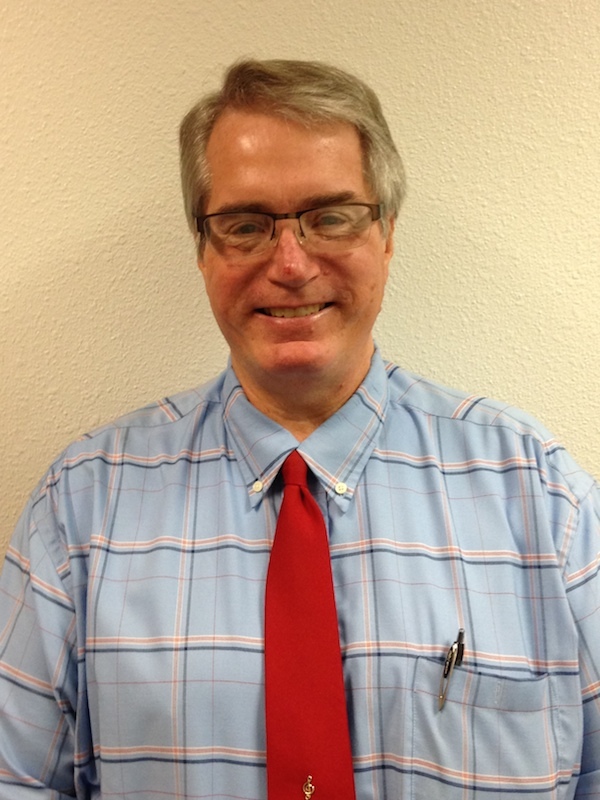 Mr. Thissen graduated from Fresno State with a degree in Music Education after attending Chowchilla High School. He has performed professionally as a trombone player with the Merced Symphony (where he was also manager), Tulare County Symphony, the Fresno Philharmonic, the Eugene Opera and with community concert and jazz bands in California and Oregon. He has performed with jazz greats Don Ellis, Maynard Ferguson, and others from the Old Tonight Show with Johnny Carson. At Denair, Mr. Thissen would like to see the program grow back to a full time position. In time, he envisions the introduction of Beginning Guitar, Jazz Studies/Jazz Band, and developing greater continuity within the music program, to keep students who begin an instrument in elementary school continuing through high school graduation. Mr. Thissen has been married to his “best friend” Nancy for over 38 years. They met in college and have two sons who are both married. The Thissens have five grandchildren. Mr. Rick Diaz is Denair High School’s new Ag teacher. He teaches Small Engines, Introductory and Advanced Ag Mechanics, Landscape and Farm Management, and Ag Earth Science. Mr. Diaz graduated from Fresno State University with a degree in Ag Business and a minor in Plant Science. He was raised on a vineyard in Fresno and has repaired farm machinery since he was a boy. 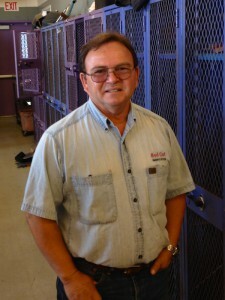 For the past four years, Mr. Diaz has taught shop classes and has been a Welding Instructor at Fresno City College. Mr. Diaz enjoys watching his students grow in their knowledge and skills and arrive at a higher level of confidence. He would like to see the Denair High School Ag program grow into a three-teacher team where there is an expert in plant science, animal science, and Ag mechanics. He is considering his students’ requests to coach an Ag Mechanics team. In addition to teaching, for the past 20 years, Mr. Diaz has been a wrestling official and a part time charter bus driver. 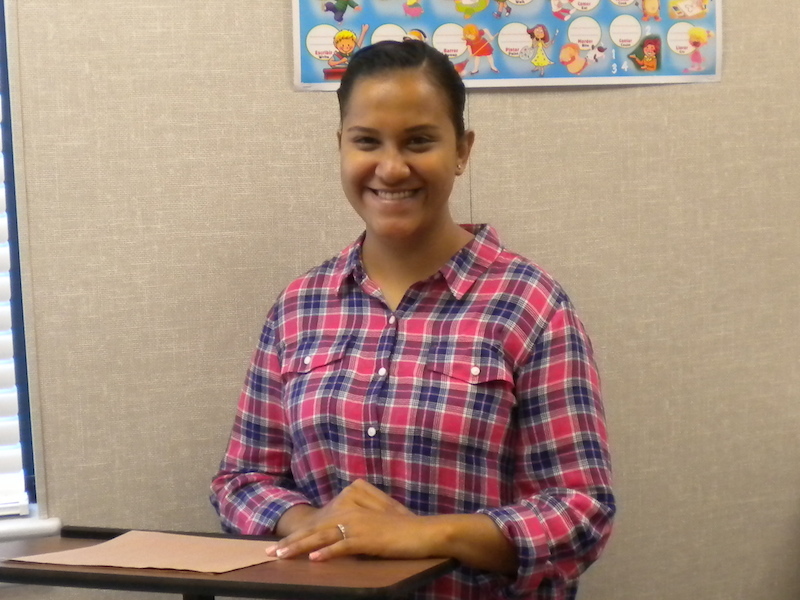 Ms. Isabel Alvarado is the new Spanish teacher at Denair Middle School. She graduated from Atwater High School and went on to CSU Stanislaus where she graduated in 2012 with a double major in Spanish and Sociology. Ms. Alvarado is a native Spanish speaker who came to the United States at age 10. She was challenged learning English and took it in stride when classmates teased her about her difficulty speaking English. This hard working student pursued her education and helped other students struggling with English. In college, she worked for the migrant program tutoring students. In the classroom, Ms. Alvarado works on providing engaging activities to help students learn vocabulary and have fun speaking in Spanish as they are learning. She loves when her students participate in her lessons. Ms. Alvarado is collaborating with other Spanish teachers in the Denair Unified School District to make a continuous curriculum that best meets the needs of students. She hopes her students continue studying Spanish in high school. Ms. Alvarado believes in the power of learning a second language and reminds her students that bilingualism can help them get jobs and assist them in traveling the world. Ms. Alvarado is this year’s Middle School soccer coach as well. Mrs. Gina Michael is the new Social Studies teacher at Denair Middle School. She graduated from Chapman University with a degree in Social Science. She taught 7th and 8th grade Social Studies at Hickman Charter School prior to coming to Denair. Mrs. Michael loves the “story” part of history and studying various perspectives from around the world. She particularly is interested in technology, archeology, civics, and politics. She loves a good argument and appreciates seeing both sides of an issue. In the classroom, Mrs. Michael is planning engaging lessons that help students think about and question their world. She hopes to move away from the “read your book and fill in the worksheet” model of teaching. She wants to instead create a dynamic program full of 21st century learning activities. She is already bringing technology into her lessons. Mrs. Michael and her husband enjoy camping with their two sons and watching them play sports. 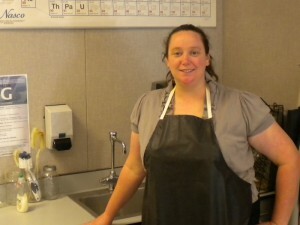 Ms. Breanna Vaughan is Denair High School’s new science teacher. She is teaching Chemistry, Anatomy and Physiology, Physics, and Honors Biology this year. Ms. Vaughan graduated from CSU Stanislaus in 2007, with a degree in Biological Sciences. She taught high school science for three years outside Fresno. Ms. Vaughan loves seeing students having fun and appreciating and learning science. This year she will focus on improving labs, bringing computers into the lab for virtual simulations and dissections, and developing benchmark assessments that measure student achievement in her courses. At CSU Stanislaus, Ms. Vaughan was a three-sport athlete playing collegiate soccer, basketball, and running track and field.